If you look through this book, you may come across clergy members, family members, or the place where they served. This biography in the first paragraph tells something about his character or the way he lived during the week, and what he preached about on Sunday. Born 1 May 1861, he was African American, white, and Native American which he could trace to his mother, Matilda, whose mother was brought from Virginia. 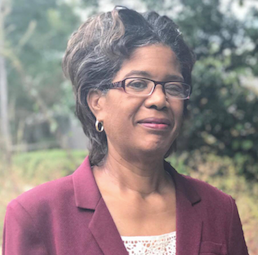 His father, Beverly, was enslaved by James Kincaid Vance. He attended Paine Institute in Cokesbury, and entered the AME Church in 1881 and the Conference in 1888. His many appointments in the circuit are given. He also raised hogs and farmed cotton and grain. 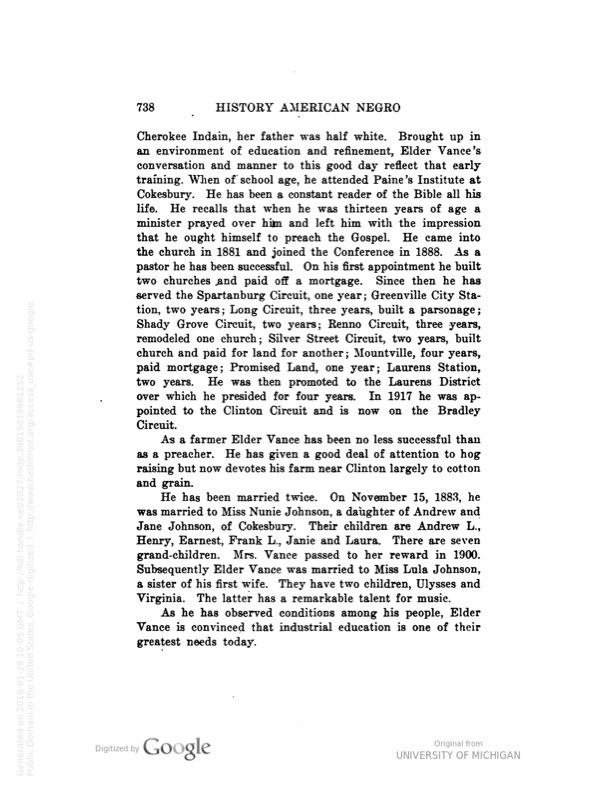 He married Nunia Johnson on 1 November 1883, and they had more children than what is listed, namely Daisy Vance Miller. 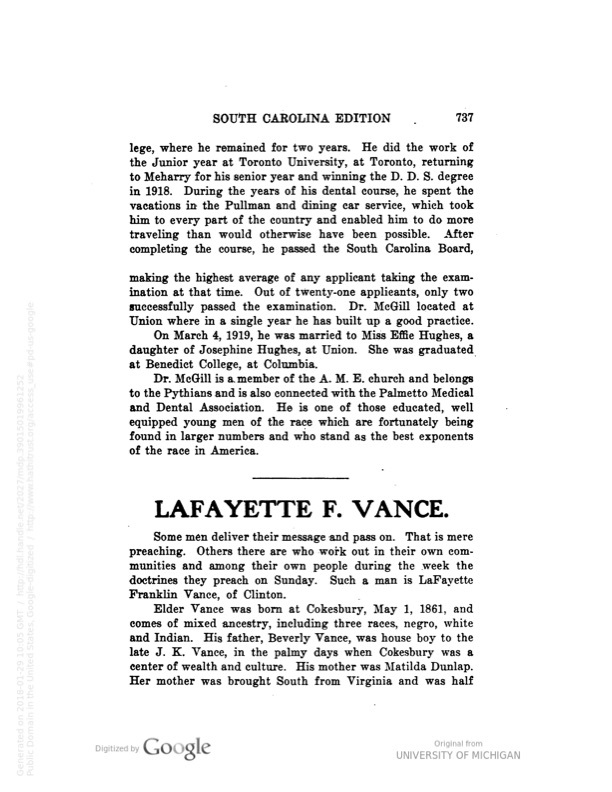 They also missed listing my grandfather, Emory Wallace Vance from the union of Lula Johnson Vance and Lafayette. So you see, these biographies can be helpful, but they can come with errors. That’s why we must be sure to document them thoroughly ourselves. Having found these three documents, I can research the different circuits Lafayette was assigned to, his family relationships, and other clergy members he knew. That’s just for starters! Perhaps you too had a clergy member for an ancestor. Why not try to find them in the newspaper in the area where they served. Then see how many avenues of research you can come up with for them. Let us know how the research is going on our Facebook Page.